Twitter is one of the well known social networking and micro-blogging site of the world. According to Alexa’s Top 500 Global Sites rankings, Twitter is now at rank #14. If you are using Feedburner to syndicate your feed, you can easily connect your feed to Twitter. FeedBurner will automatically post updates from your feed to your Twitter account. If you want to connect your feed to your Twitter account, follow these simple steps below. 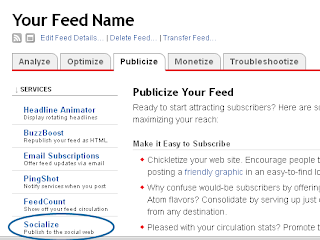 First, log into Feedburner and select your blog’s feed. 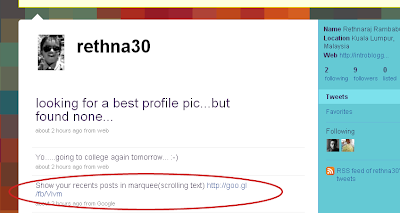 Then, click on the “Publicize” tab and select “Socialize” option on the sidebar. Once the “Socialize” page loaded, click on “Add Twitter Account” button and follow the further instructions to connect Feedburner with your Twitter account. 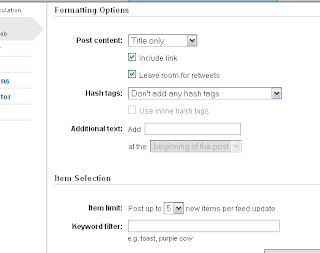 After your Twitter account added, configure how the updates should look like in your Twitter page and number of items should be shown in every updates under “Formatting Options” and “Item Selection”. Finally, don’t forget to click “Activate” button on the Socialize page. This is how my feed update looks like in my Twitter Page.